Tobuscus has finally done it! Known for his LITERAL Trailers, Toby Turner posted one for The Hunger Games: Catching Fire. The whole Welcome to District 12 team is a fan of his LITERAL Trailers (don't get us started singing them!) 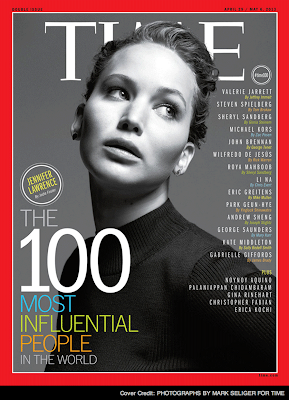 so we're so psyched he's finally done one for The Hunger Games! And fun fact! Toby Turner went to high school with none other than Gloss himself Alan Ritchson. Check out his video with him here. Attention all Hunger Games fans! 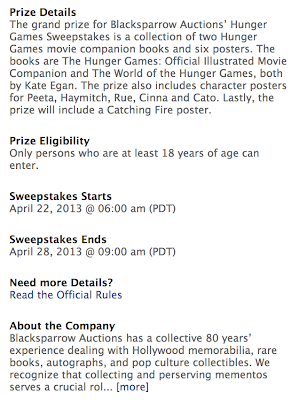 Want to be a part of the new official Catching Fire book trailer? Find out how you can participate by watching the video. Please review Video Submissions terms at http://bit.ly/catchingfirevideo for complete details before submitting your video. Watch this video for instructions on how to enter! Featuring our friends Kimmy from Mockingjay.net and Aldrin from DWTC and former District 2 mayor! 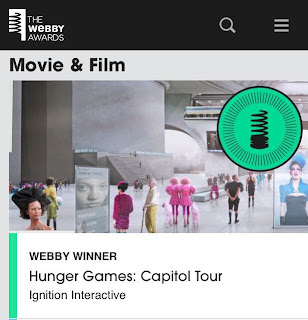 BIG congratulations for The Hunger Games for winning in both categories it was nominated in: The Hunger Games Adventures and The Hunger Games: Capitol Tour! 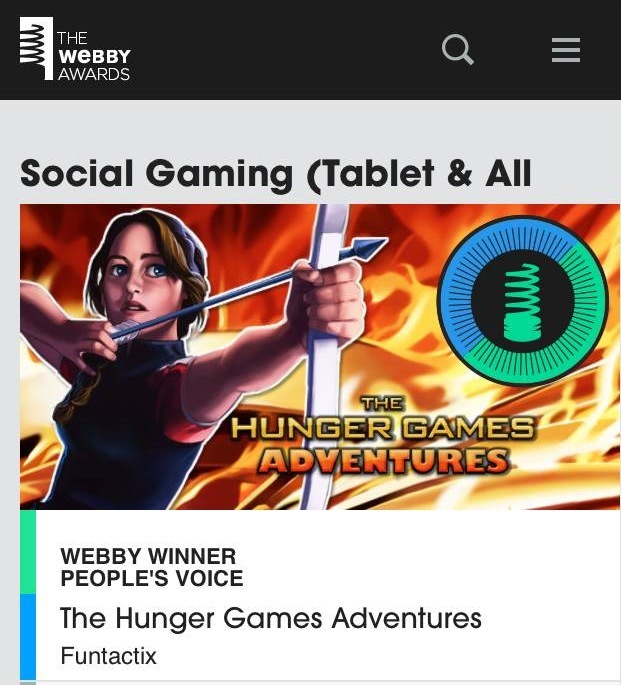 Thanks to everyone who voted! 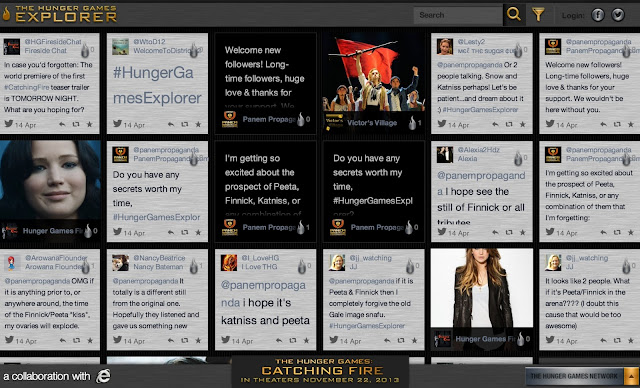 Maybe Hunger Games Explorer will be nominated next year? 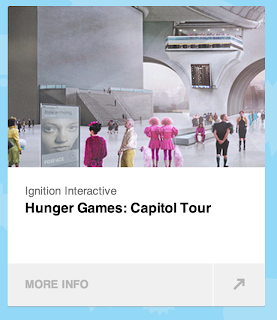 Hunger Games Costume Tour Stop at C2E2 Begins Tomorrow! 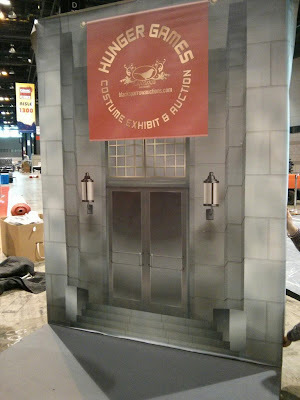 The next stop for The Hunger Games Costume Tour is at C2E2, which begins tomorrow! 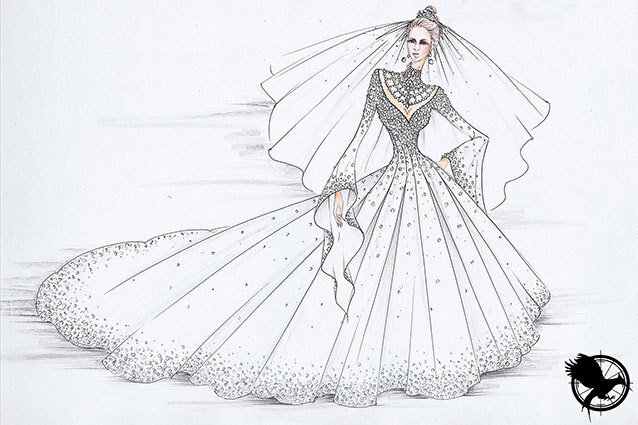 THE HUNGER GAMES COSTUMES EXHIBIT TOUR COMES TO CHICAGO! Blacksparrow Auctions' Hunger Games Costumes Exhibit Tour arrives at Chicago Comic & Entertainment Expo (C2E2) this weekend from April 26-28 at McCormick Place. The Exhibit will be at Booth #1209 and will feature original screen-worn costumes of Katniss, Peeta, Effie, Haymitch, Cinna, President Snow, Rue and many more. 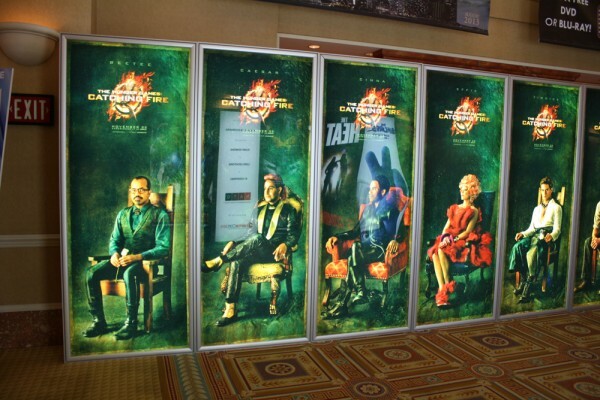 A special "Reaping" scene will be on full display to greet fans and attendees. 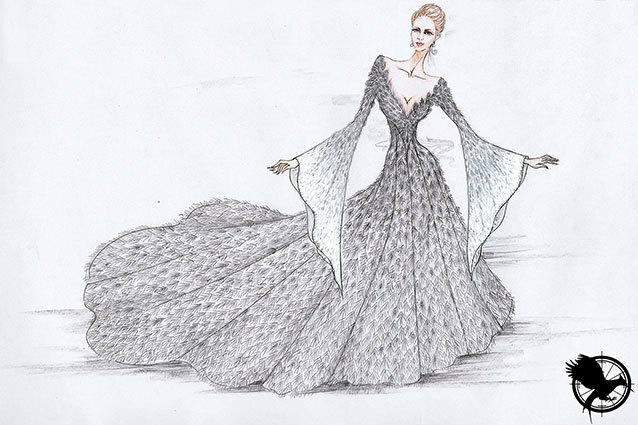 As a C2E2 exclusive, Blacksparrow will unveil the "Fire Chariot" costume worn by Academy Award-winner Jennifer Lawrence. The Hunger Games Costumes Exhibit Tour was previously seen in Seattle at Emerald City Comicon. After C2E2, the Tour will end at New York Comic Con in October, where a live auction of the costumes will take place. This is a must-see for Hunger Games fans, as this opportunity is one of only a few times fans can see the costumes up close on public display! 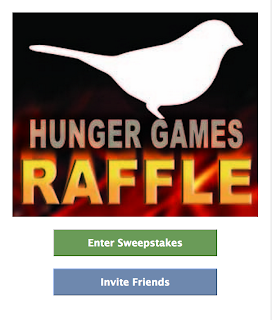 To celebrate the Tour, Blacksparrow is conducting two free Hunger Games raffles, one online and the other in-person at C2E2. 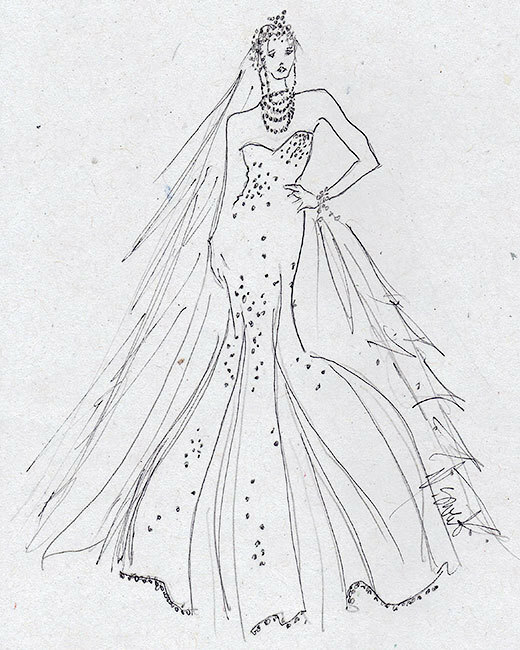 Participants are welcome to enter both contests, but you must be present to enter the in-person contest. To enter the online raffle, go here: https://apps.facebook.com/sweepstakeshq/contests/316920. 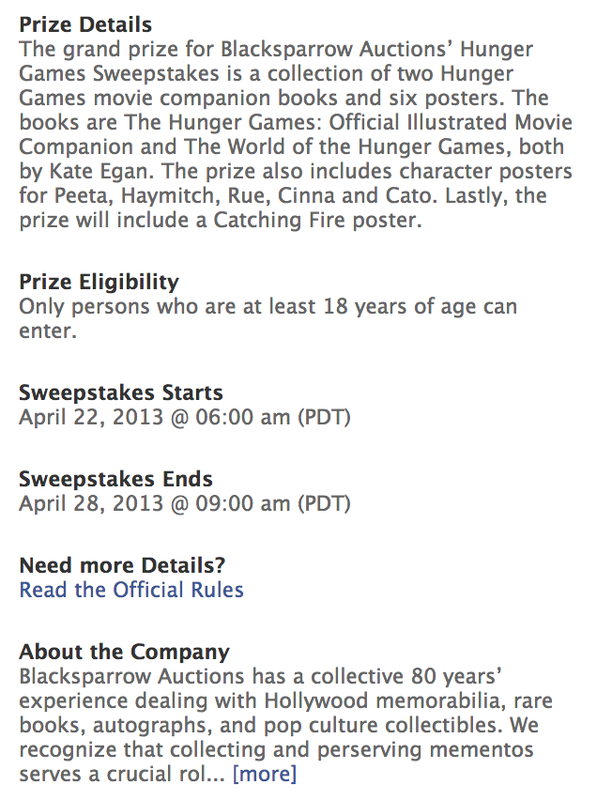 The prize is a collection of two Hunger Games movie companion books and six posters. 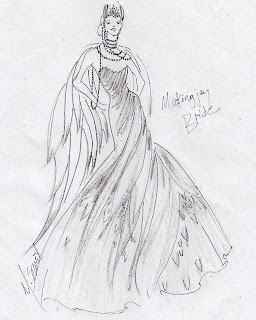 The books are The Hunger Games: Official Illustrated Movie Companion and The World of the Hunger Games, both by Kate Egan. 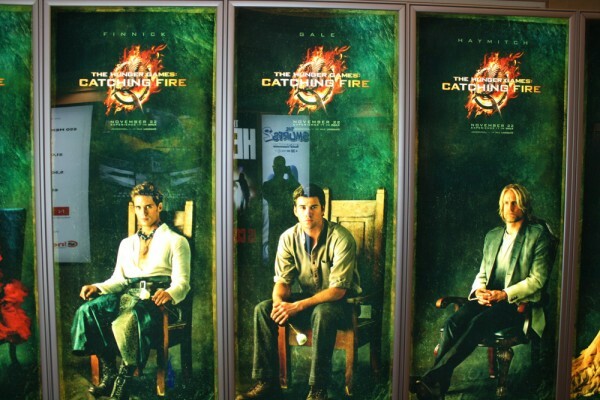 Also included are character posters for Peeta, Haymitch, Rue, Cinna and Cato, and a Catching Fire poster. Enter Blacksparrow Auction Sweepstakes! 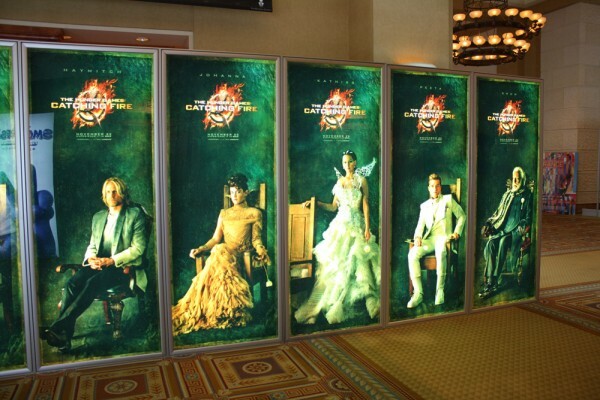 Includes Catching Fire Poster! Blacksparrow Auctions as you may have heard, have been giving The Hunger Games costumes a tour around the United States (next one is in Chicago C2E2 Apr 26-28) before they go on auction at New York Comic Con in October. There's still a long road ahead until Catching Fire, and Mockingjay is reported to start filming in September, so it'll be a while before Francis Lawrence gets to take a breath. 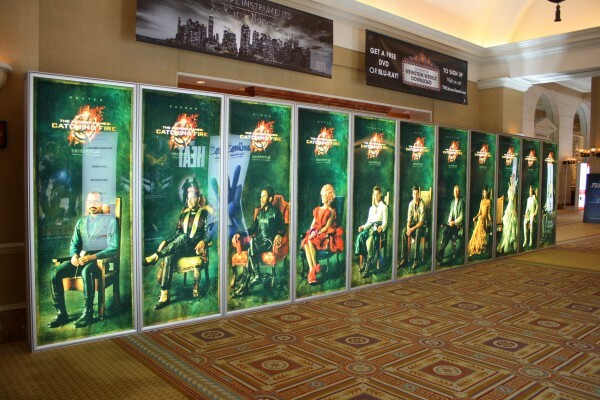 Word on the street is Catching Fire may show some footage at CinemaCon in Las Vegas which happens starting today. Collider is speculating they might show footage at the convention, so we'll find out within the next few days whether this is true. Now that you've enjoyed the trailer, what EXACTLY is #HungerGamesExplorer? We are so excited! Thoughts on the teaser trailer? Let us know in the comments! As a Los Angeles resident, may I just say "FINALLY"! In a town where we offer the best and largest spaces and soundstages for filming, we are happy to know that L.A. has been added to list of locations in which Mockingjay will shoot. 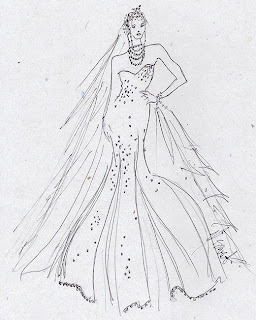 I can tell you exclusively that at least footage and some kind of presentation will be made for the second chapter of “The Hunger Games,” called “Catching Fire.” This is a good way to get newly crowned Best Actress Jennifer Lawrence into Cannes, along with castmates like Josh Hutcherson, Liam Hemsworth, Stanley Tucci, Philip Seymour Hoffman, and Toby Jones. 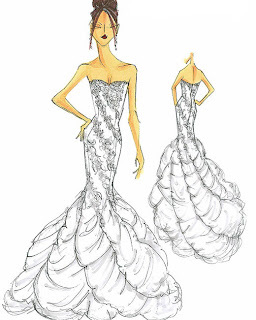 This would definitely be very beneficial for the franchise, so we will keep you updated on any further developments. Nothing has been confirmed yet. 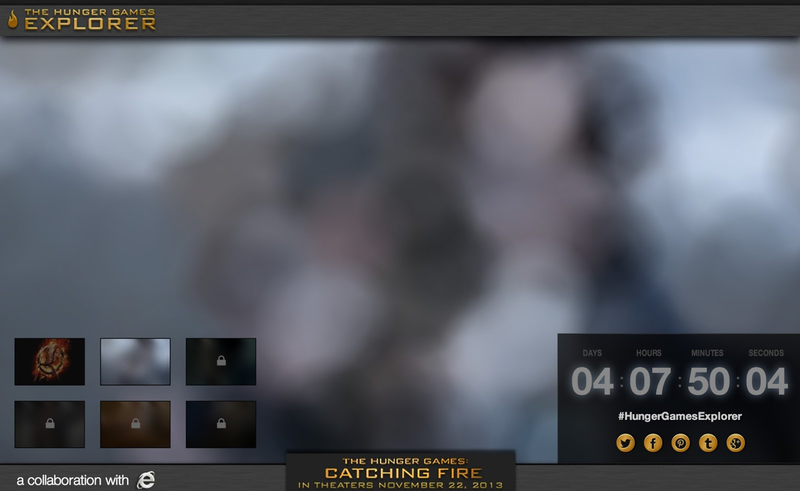 Catching Fire Still #4 Revealed by Hunger Games Explorer! OOOHWEEE!! This is our first official look at Philip Seymour Hoffman as Plutarch is the fourth Catching Fire image to be released by Hunger Games Explorer. Just one more to be released before the teaser trailer is debuted at the MTV Movie Awards! 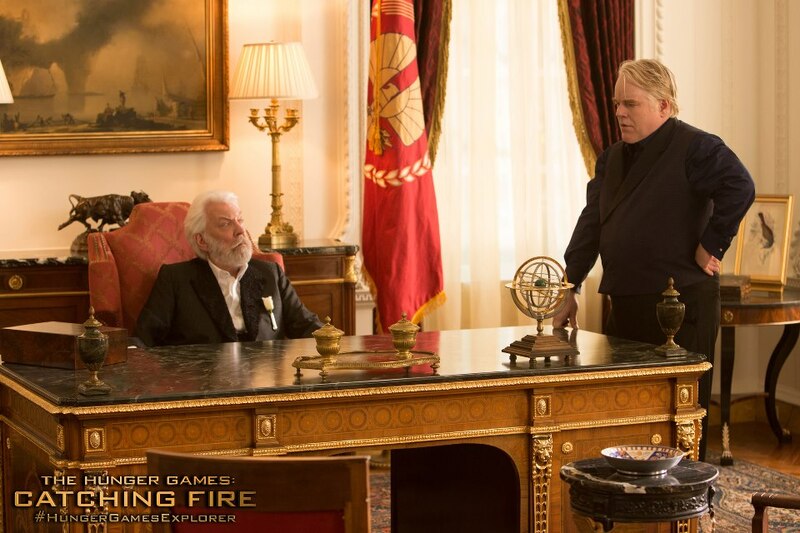 Looks like today's Catching Fire still is one we've seen before! 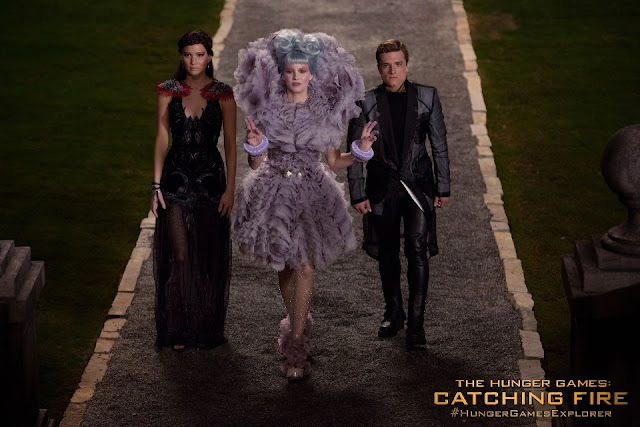 You may remember this one from the Catching Fire issue of Entertainment Weekly, but this marks the still's online release. Stay tuned for tomorrow's still! Check out today's released Catching Fire still! Come back here tomorrow to see the next one! Oh, the glory of moving pictures!! The MTV Tumblr unveiled an exclusive GIF on their tumblr, which has us all kinds of excited. Let the countdown begin! ONLY FOUR MORE DAYS! 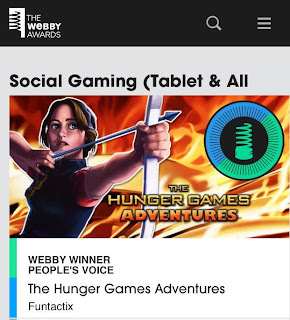 The Hunger Games have been nominated in this years Webby Awards! 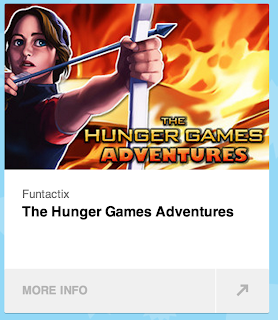 Vote for The Hunger Games Adventures and The Capitol Tour! 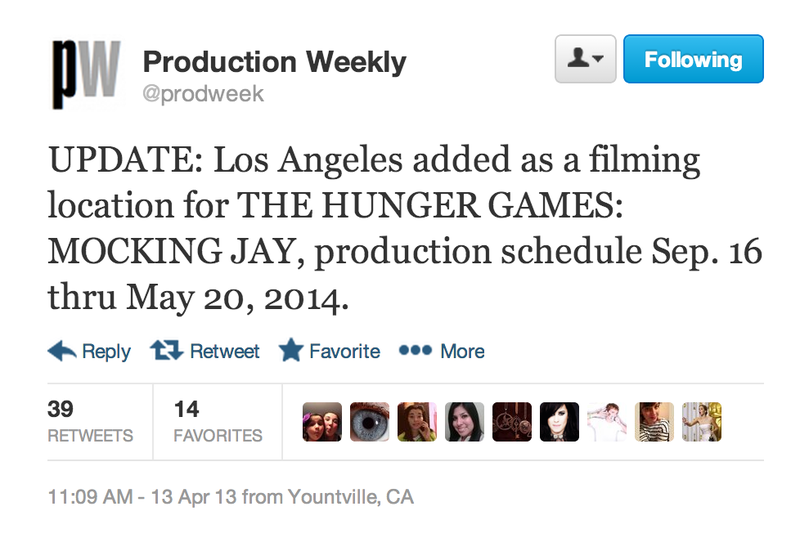 Rumor: Mockingjay to Start Filming in Atlanta This September? Color Force/C4 Productions in association with Larger Than Life Productions are in pre-production on the feature film "The Hunger Games: Mockingjay - Part 1". This is the first half of the third installment in the blockbuster hit The Hunger Games trilogy, and will be filmed back-to-back with "The Hunger Games: Mockingjay - Part 2". Shooting will run from September 16, 2013 through May 20, 2014 and will take place in Atlanta, GA and Boston, MA. Principal actor casting for the main roles will take place in Los Angeles with additional actor casting in Atlanta and Boston. Extras will be cast throughout the entire production in both cities. Though this might seem pretty legitimate, keep in mind nothing is official unless Lionsgate confirms it. The long awaited teaser trailer for The Hunger Games: Catching Fire is set to debut on the 2013 MTV Movie Awards on Sunday April 14! Teaser Trailer to Debut Online at THEHUNGERGAMESEXPLORER.COM following the Show. SANTA MONICA, CA (April 3, 2013) –MTVannounced today that the “2013 MTV Movie Awards” will exclusively debut the never-before-seen official teaser trailer for the long awaited second installment of Lionsgate’s Hunger Games film franchise, “The Hunger Games: Catching Fire,” LIVE on Sunday, April 14 at 9:00 p.m. ET/PT. 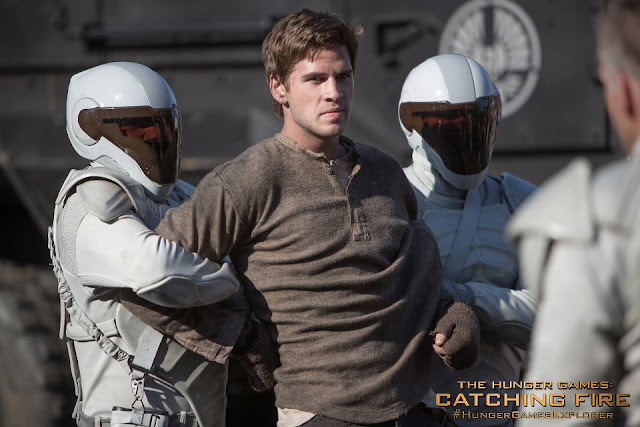 To celebrate the premiere, the film’s star Liam Hemsworth will officially give the world its first glimpse of the film. 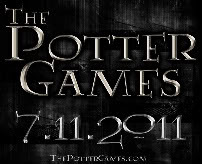 The teaser trailer will then be available online at TheHungerGamesExplorer.com, in partnership with Internet Explorer, after it airs on television. The “2013 MTV Movie Awards” will air across MTV’s global network of more than 60 channels reaching more than a half-billion households around the world. 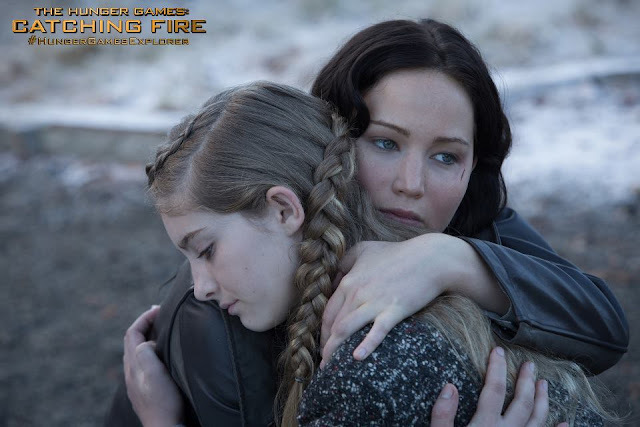 The debut marks the first footage released of “The Hunger Games: Catching Fire” ahead of its November 22, 2013 theatrical release date. Check out the promo on MTV.com! 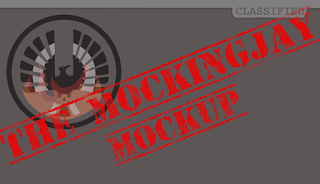 All we've had going for us in terms of production news is that Catching Fire is back to production, and we have yet to hear that things have wrapped up. Last year there was an announcement that they wrapped filming, and I expect that we will hear the same regarding Catching Fire. In March there was rumor that they were doing 2 weeks in Hawaii and two weeks in L.A, thanks to Russ Bowen. This piece of information relates to what we have found out in the past week and a half. According to a few reliable sources, sometime in the past two weeks Catching Fire filmed in the Universal Studios backlot. This happening was extremely under the radar and secret. During filming no one was allowed to go anywhere near the set, not even the daily tours that frequent the backlot. So where and what were they filming? We know that if there was only one location on the backlot they filmed, it was at "Falls Lake". 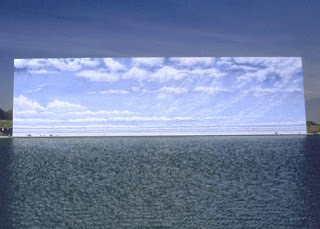 Typically productions have Falls Lake drained of its water and use it for all the wide open space it gives. Some witnessed the set had towers and formed a fenced in area. Seems like it could be extra reaping shots or perhaps some sort of unknown district scene. Whether this was the first or second unit is unknown. Any guesses as to what this scene could have been? Let us know in the comments.